Weekend WallpaperPut these on your desktop to look cool and awesome. 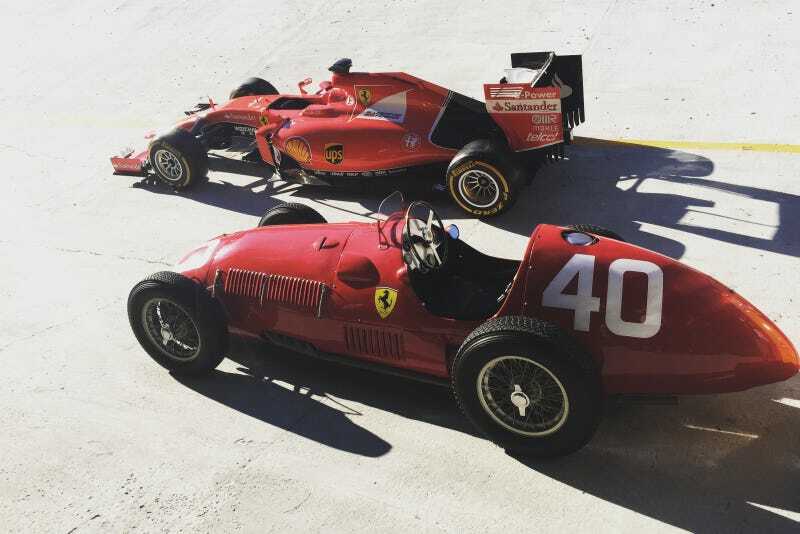 Monza is a place that oozes history, so Ferrari whipped out one of their old racers for an event to coincide with the Italian Grand Prix. This shot comes courtesy of Jamey Price, who captured the old and the new parked on Monza’s famous banking at an event hosted by Ferrari and their sponsor Shell. The 2015 car is above, and a 1951 car is below. You can download the full-size version here. Jamey Price travels all around the world to follow motorsport and takes some ridiculously amazing shots of race weekends. Check out more of Price’s work on Twitter @jameypricephoto, on Instagram @jameypricephoto or on Facebook. Weekend Wallpapers are usually featured on Sundays (but not always!). Got one you’d like us to run? Send it to nicole.conlan@jalopnik.com with the subject “Weekend Wallpaper.” Just make sure you have the rights to use it.